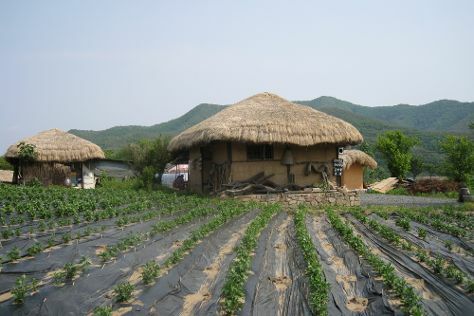 Your cultural itinerary includes sights like Seongeup Folk Village and O'Sulloc Tea Museum. Take a break from the city and head to Hallim Park and Cheonjiyeon Falls. And it doesn't end there: admire the sheer force of Jeongbang Waterfall, examine the collection at Alive Museum, contemplate in the serene atmosphere at Yakchunsa Temple, and take in the pleasant sights at Daepo Haean Jusangjeolli Cliff. To find where to stay, maps, other places to visit, and tourist information, use the Seogwipo online road trip planner . Kuala Lumpur, Malaysia to Seogwipo is an approximately 11.5-hour combination of flight and bus. Traveling from Kuala Lumpur to Seogwipo, you'll lose 1 hour due to the time zone difference. Plan for colder temperatures traveling from Kuala Lumpur in March, with highs in Seogwipo at 13°C and lows at 6°C. Cap off your sightseeing on the 22nd (Thu) early enough to travel to Busan. 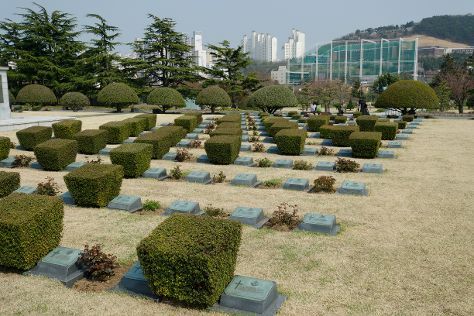 Start off your visit on the 23rd (Fri): tour the pleasant surroundings at UN Memorial Cemetery, kick back and relax at Gwangalli Beach, and then take in the spiritual surroundings of Beomeosa. Inspirock's itinerary builder makes planning a Busan trip simple and quick. Do a combination of bus and flight from Seogwipo to Busan in 3 hours. Alternatively, you can do a combination of car and ferry; or do a combination of bus, ferry, and train. When traveling from Seogwipo in March, plan for slightly colder days in Busan, with highs around 9°C, while nights are about the same with lows around 7°C. 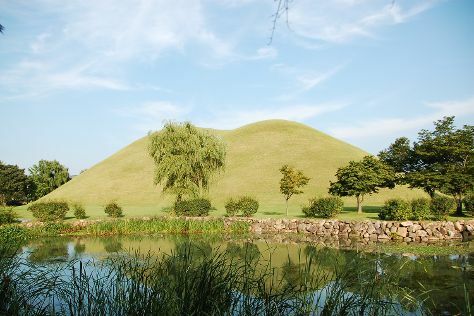 Wrap up your sightseeing on the 24th (Sat) to allow time to drive to Gyeongju. Kick off your visit on the 24th (Sat): contemplate the waterfront views at Anapji Pond, see the interesting displays at Gyeongju National Museum, then contemplate the long history of Cheomseongdae Observatory, and finally contemplate the long history of Cheonmachong. On the 25th (Sun), you'll have a packed day of sightseeing: contemplate the long history of Gyeongju Historic Areas, then steep yourself in history at Oksan Seowon, and then steep yourself in history at Yangdong Folk Village. 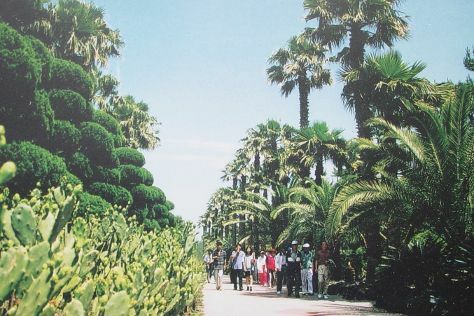 For more things to do, where to stay, reviews, and more tourist information, refer to the Gyeongju trip planner . Traveling by car from Busan to Gyeongju takes 1.5 hours. Alternatively, you can do a combination of subway and bus. While traveling from Busan, expect a bit warmer days and slightly colder nights in Gyeongju, ranging from highs of 15°C to lows of 1°C. Finish your sightseeing early on the 25th (Sun) so you can drive to Andong. On the 26th (Mon), contemplate the long history of Dosanseowon Confucian School, then contemplate in the serene atmosphere at Bongjeongsa, then contemplate the long history of Byeongsanseowon Confucian Academy, and finally appreciate the extensive heritage of Andong Hahoe Folk Village. To find reviews, maps, traveler tips, and tourist information, go to the Andong holiday site . Drive from Gyeongju to Andong in 2 hours. Alternatively, you can take a bus. In March, daytime highs in Andong are 15°C, while nighttime lows are 1°C. Cap off your sightseeing on the 27th (Tue) early enough to go by car to Sokcho. Kick off your visit on the 27th (Tue): Head underground at Geumganggul Cave, contemplate in the serene atmosphere at Naksansa Temple, and then get great views at Sokcho Lighthouse Observatory. On the 28th (Wed), you'll have a packed day of sightseeing: explore the striking landscape of Seoraksan National Park. To find traveler tips, reviews, and tourist information, you can read our Sokcho driving holiday planner . Getting from Andong to Sokcho by car takes about 3.5 hours. Other options: take a bus. Traveling from Andong in March, you will find days in Sokcho are a bit cooler (11°C), and nights are about the same (2°C). Finish up your sightseeing early on the 29th (Thu) so you can go by car to Seoul. On the 29th (Thu), contemplate the long history of Namsangol Hanok Village, contemplate in the serene atmosphere at Bongeunsa Temple, and then get to know the fascinating history of Changgyeonggung. To find maps, more things to do, photos, and other tourist information, use the Seoul vacation planner. Traveling by car from Sokcho to Seoul takes 2.5 hours. Alternatively, you can take a bus; or do a combination of bus and train. Expect a daytime high around 13°C in March, and nighttime lows around 1°C. Wrap up your sightseeing by early afternoon on the 30th (Fri) to allow time for travel back home.